This is really simple to make! You just need lots and I mean lots of miniature mini eggs, a polystyrene topiary ball, toothpicks, a branch, any pot you like and dry oasis. To decorate, ribbons and shredded bark. Prepare the pot with the dry oasis and put aside. Put the branch into the topiary polystyrene ball. Then start placing half a toothpick in every miniature egg and sticking them in the ball until it is fully covered. Place the tree and branch in the pot. Decorate with ribbons and shredded bark to cover the oasis. That’s it! 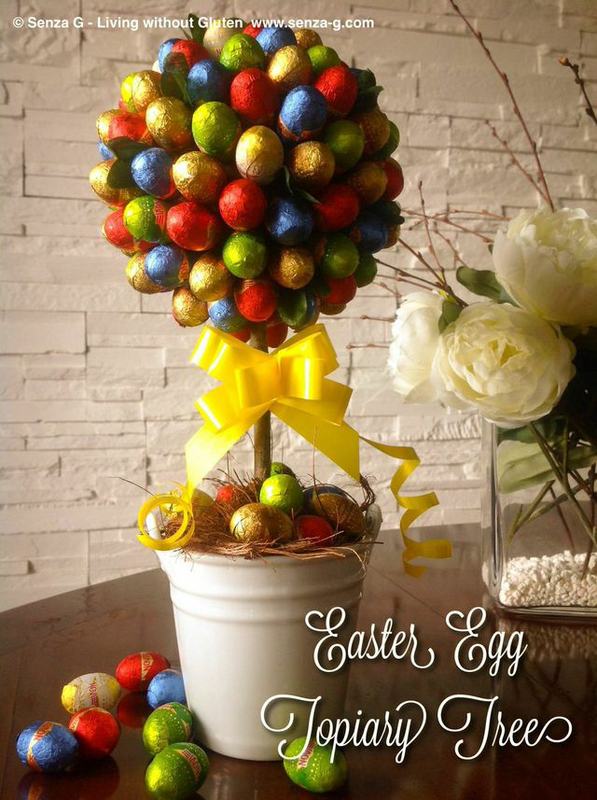 Makes a lovey Easter table centerpiece !